Kitengela International Schools (KISC) located in Kitengela off Athi river Namanga is on the spotlight for picking up class 8 pupils at 5.30 AM. The pupils, a source privy to the situation intimated that the children start learning as early as 6.30 a.m. 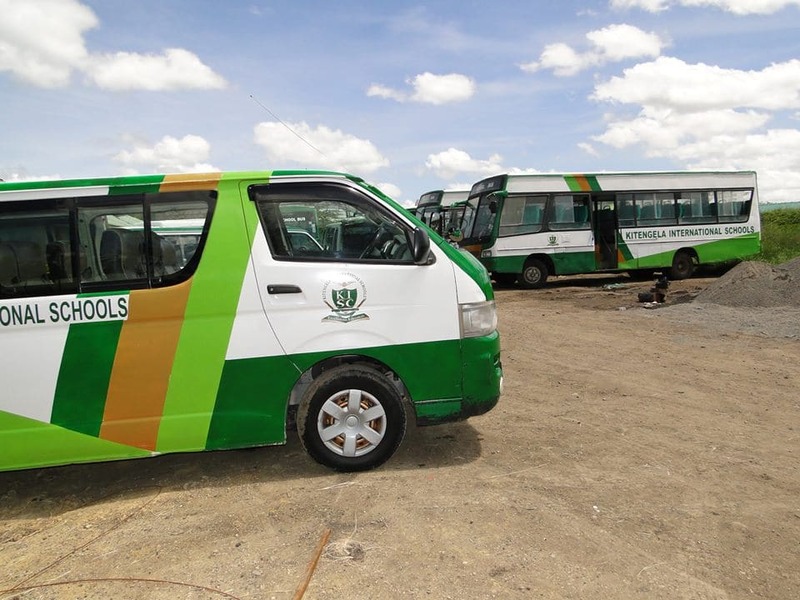 This goes against the laid down rules set by former Education Cabinet Secretary Fred Matiang’i who in 2017 directed that school buses should operate between 6 a.m and 6 p.m to protect learners from accidents and immoral acts. “The influx in accidents in our roads including those vehicles carrying our children can only be tamed if we abide by the rules prescribed,” Matiang’i said. Kahawa Tungu has also learnt that the pupils are in school till 7 p.m on weekdays and from 8 a.m – 3.30 p.m on Saturdays even after the government banned holiday tuition and extending to weekends. Then Education CS warned those teachers who keep students in school during the aforementioned times saying that they will be prosecuted and their schools’ registration certificates revoked. On February 24, 2018 a Riara Primary School bus was seen snaking its way through Mombasa road at 4.37 a.m.
Children as young as 4 years old are picked up in the wee hours of the morning in order to beat the crazy Nairobi traffic that Governor Mike Sonko vowed to eradicate in his 100 days in office. Psychologists say that children need at least 8 hours of sleep. Not getting enough rest, they say, could turn them into rebellious adults.